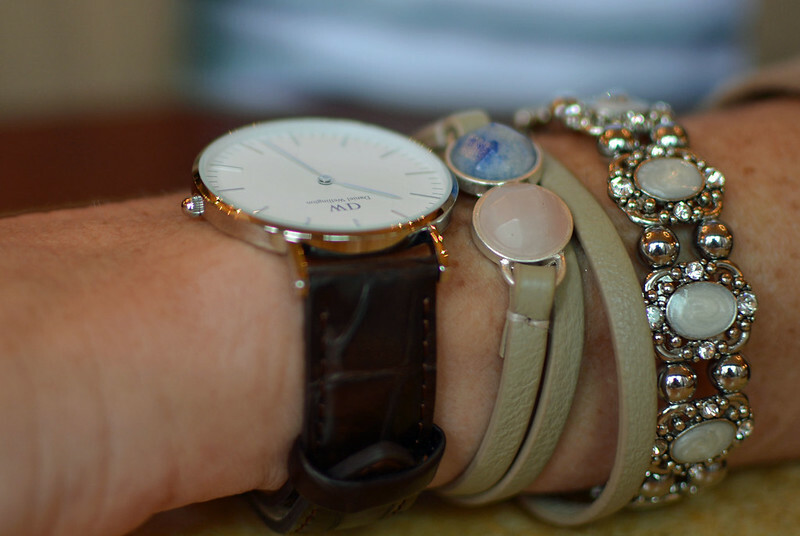 I’m so excited to be partnering with Daniel Wellington on this post! 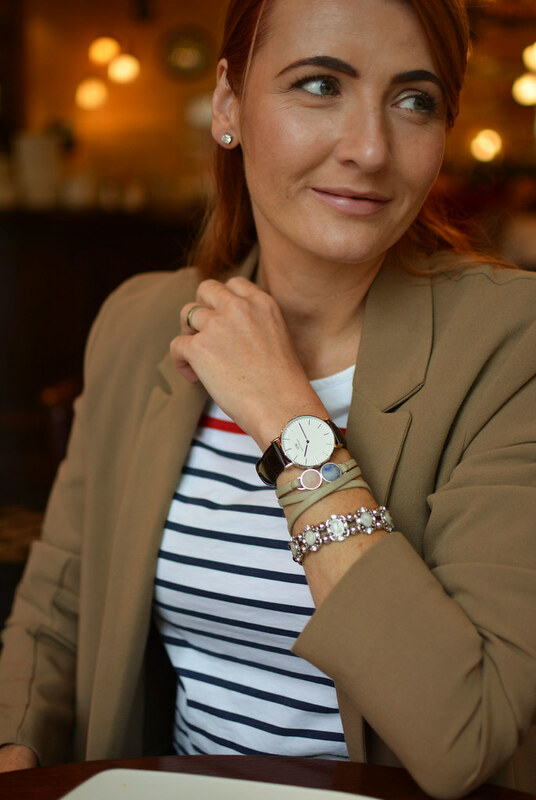 The watch brand is synonymous with preppy style; it’s really fitting because whenever I’m asked to describe my style I usually say “Preppy with a twist”. I thought I’d show you my signature style and how well it’s complemented by this brand with a preppy weekend outfit that’s perfect for mild autumnal days. I don’t know about you but when I think of preppy style I think of bloggers such as Classy Girls Wear Pearls or Atlantic Pacific. Both of these girls have amazing style and carry off Breton tops, ballet flats and trench coats with aplomb. I personally like taking elements of preppy style and switching it up a little. A longline blazer instead of a trench coat, distressed jeans instead of chinos. Pointed block heels flats instead of ballet flats. But I’ll admit to owning a lot of Breton stripe tops – there are some key pieces that you just shouldn’t mess with! I PERSONALLY LIKE TAKING ELEMENTS OF PREPPY STYLE AND SWITCHING IT UP A LITTLE. A LONGLINE BLAZER INSTEAD OF A TRENCH COAT, DISTRESSED JEANS INSTEAD OF CHINOS. 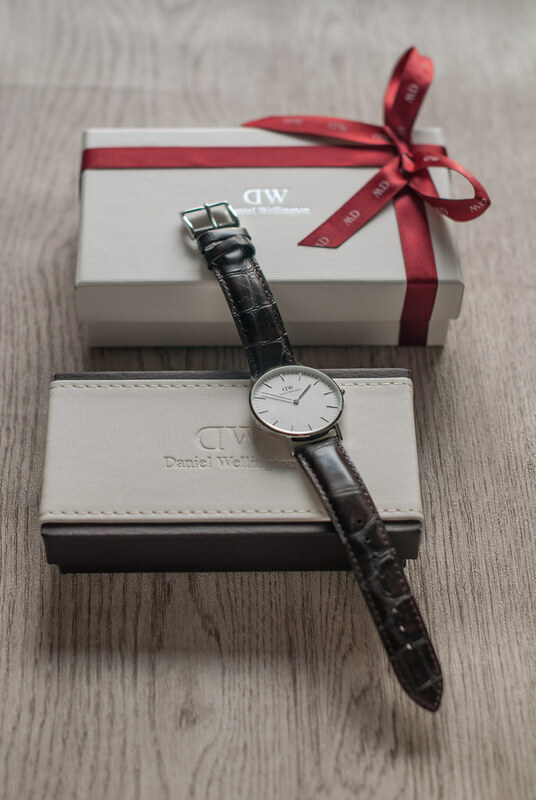 When I was contacted with an offer to work with Daniel Wellington I knew it would be a perfect fit because of the brand’s leanings towards preppy style and their commitment to high quality, beautifully made timepieces. In fact it even says on the website “Our vision is that when someone thinks of a preppy dressed person, he or she is wearing a Daniel Wellington watch”. My watch goes perfectly with this weekend outfit I wore for a Sunday morning brunch: Eggs Benedict, almond croissant, orange juice and hot chocolate (sorry if I’m making you hungry! )… That’s what I call my kinda Sunday. I chose the very sleek Classic York Lady (36mm) with a silver case and dark brown leather band. Amazingly the casing is just 6mm thick: It definitely adds to the feeling of quality when you have a watch this thin. As with most Daniel Wellington watches it also comes in a pretty rose gold. I know I’ve been obsessing over everything in this colour lately (hair included! ); however, I have several gold watches but strangely no quality silver watches. With a couple of silver bracelets the watch really does look very classy – there’s something about having a great looking, high quality watch that makes you feel properly dressed. Their watches also have interchangeable straps so you could change it for a fabric (NATO) or a leather one in a different colour if you wished. Wristbands start at just £18 so you could have a “new” watch for a fraction of the price of a whole new one. I also have to mention the face: If I were to design a watch face myself, it would look like this. I like each of the minutes being marked (I hate guessing how many minutes past it is), and I prefer the minimal design of lines over the numbers 1-12. Plus if I’m not wearing my glasses the large casing size (36mm) makes it so much easier to read the time…! Finally, Daniel Wellington are kindly offering a discount code to all Not Dressed As Lamb readers! Use code notdressedaslamb at the checkout and you will receive 15% off all purchases. As you will see from the last picture, the watches come in a beautifully presented gift box so they would make a perfect Christmas present for someone (they of course do men’s watches too). 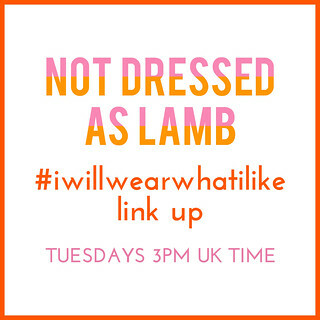 USE CODE ‘NOTDRESSEDASLAMB’ AT THE CHECKOUT AND YOU WILL RECEIVE 15% OFF ALL PURCHASES. 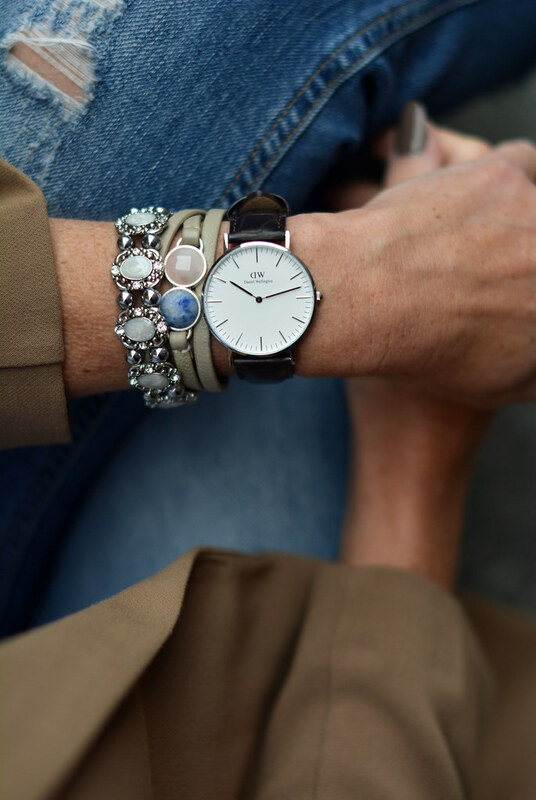 I’d love to know if you’re either a fan of preppy style or Daniel Wellington! What do you think of the minimal design and classic straps? 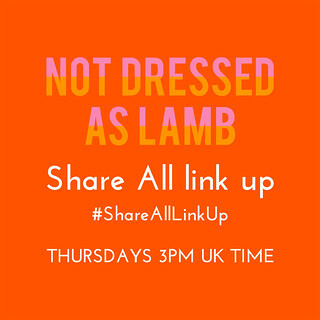 Do let me know in the comments or tweet me @notlamb! 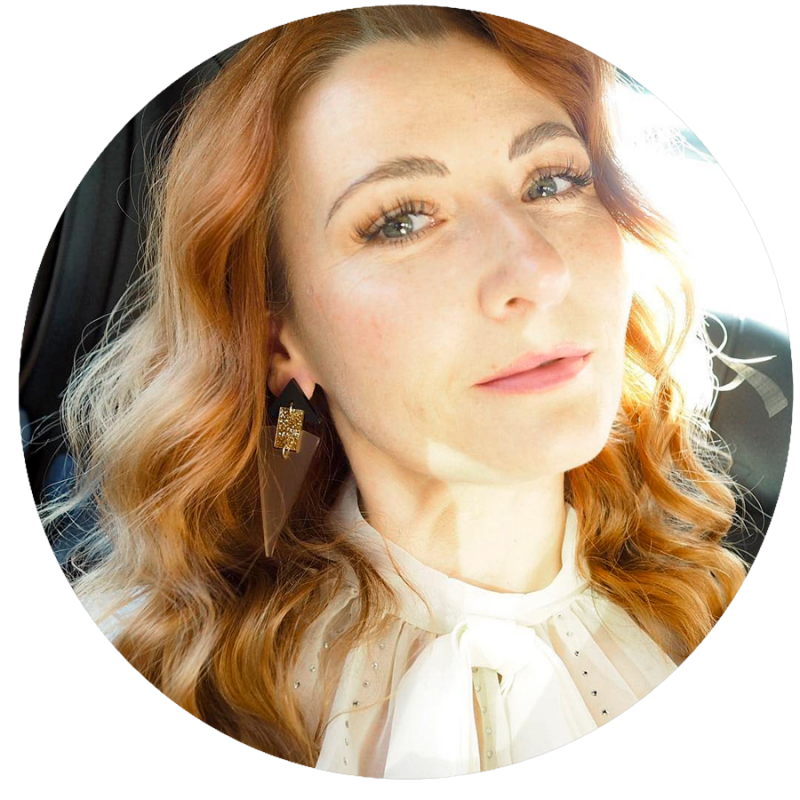 Disclosure: I have written this post in collaboration with Daniel Wellington (click here for my full disclosure). All content is original, however, and opinions are my own and 100% honest. Next Post Why the Negativity Towards Brands That Target the Older Woman? Hi Catherine, the watch indeed looks good to you! Did you win the voting by the way? I wish you all the best! Oh yes, this is very you. And I agree, a perfect watch. I have a similar one, though slightly more classic, by Longines. Have had it for at least twenty years. Fine wactch. And even with deteriorating eyesight, yoou can still tell the time. You preppy you!! Muah! Love it!! And congrats on the collab. That's super cool!! 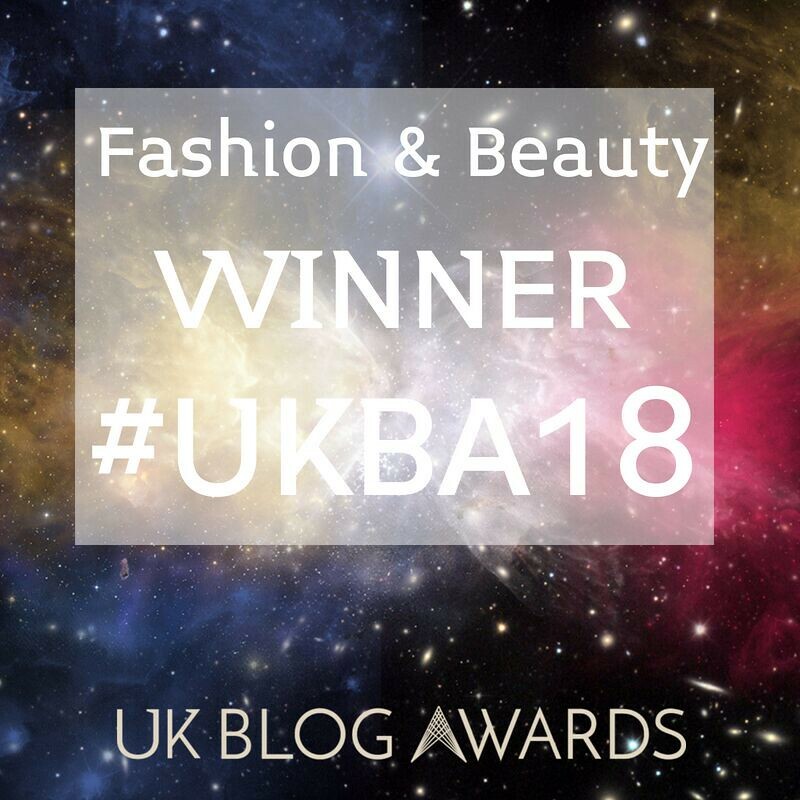 PS Thanks for linking up to the Kremb de la Kremb Style Stories Link Up! Patti thank you – and thank *you* for hosting! You look absolutely beautiful in this shoot! That's so sweet of you – thank you so much! Just dopped in to say that I've voted for you Catherine and wish you good luck. I love your blog and think you're so generous with all that you know about fashion blogging and then cascade on to us, your followers. Preppy with a twist is the perfect name for this look! You styled that DW watch beautifully. What fab photos and what a gorgeous lady! Lovin' the casual vibe of this outfit. The slightly different detail of the red stripe, those too adorable shoes (although I worry about your ankles getting cold – in November!!) and the lovely texture of the bag. My favourite photo is the overhead one of you – great angle. Was Silver Londoner stuck up a very tall ladder??? Thank you Jacqueline! That day was actually very mild (about 15-16C) so my ankles were fine. My hands get cold sooner than my feet, so I can usually hold off wearing socks for slightly longer…! Thanks, Felicity – their watches really are beautiful, I agree…! Simply love that coat Catherine. The camel with the striped tee… and those lovely shoes. Now, I guess I should go back and look at the watch, eh? Love tis look and love the watch! Catherine DW should be thrilled with this post you have written showcasing their watches. 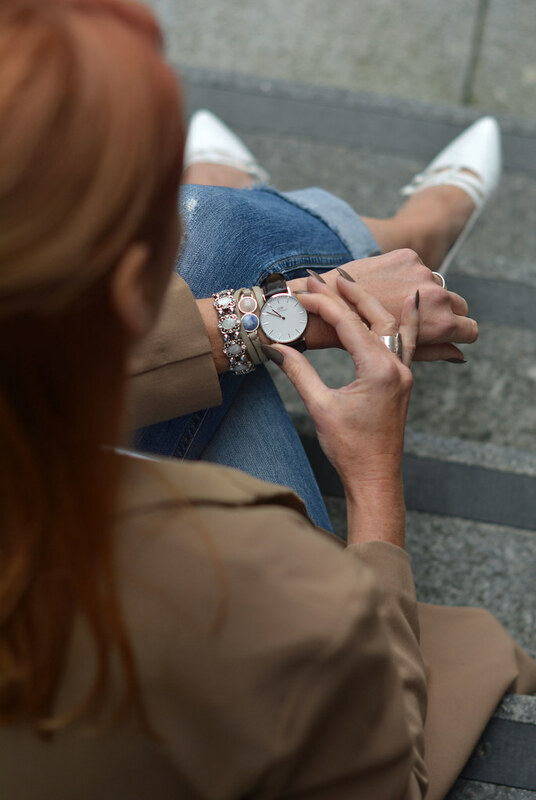 I especially love the shot of you adjusting the watch (through to your shoes) with your perfect choice of complementary jewellery and those fabulous nails, grey is SO chic! I feel that I want to buy one now , to tap into the luxe look. Catherine you look amazing in this outfit, actually you look amazing in every outfit!!! I've heard a lot about Daniel Wellingotn watches and would love to get one one day. 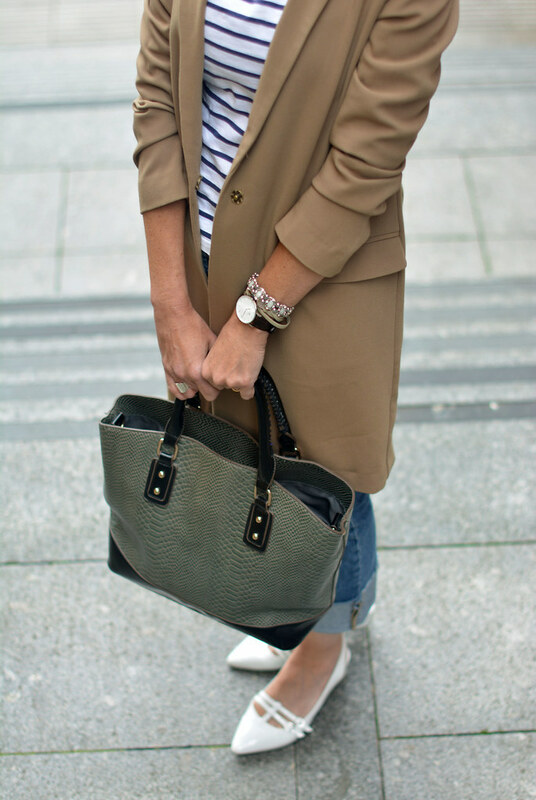 lovely outfit, and lovely definition too, 'preppy with a twist', really cool! I like breton stripes and love how you've styled them looking comfy and elegant, wearing your distressed jeans and cute shoes! fabulous ensemble! Thanks, Mrs Allnut – it's such a go-to outfit for me…! 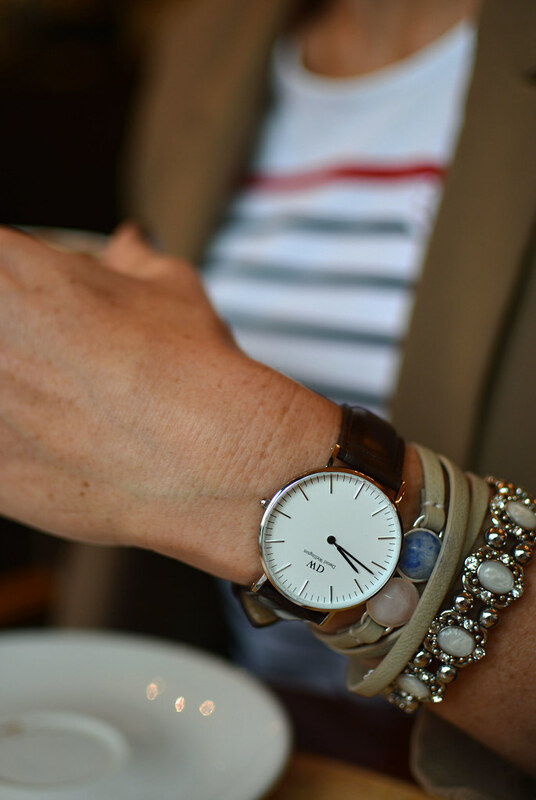 I have a Daniel Wellington watch – they are great!